First of all, obviously, if you have books in your business, and you want to generate more royalties, I’ve seen a significant increase in royalties by the scope of several thousand dollars in additional royalties with what I’m going to share with you today. 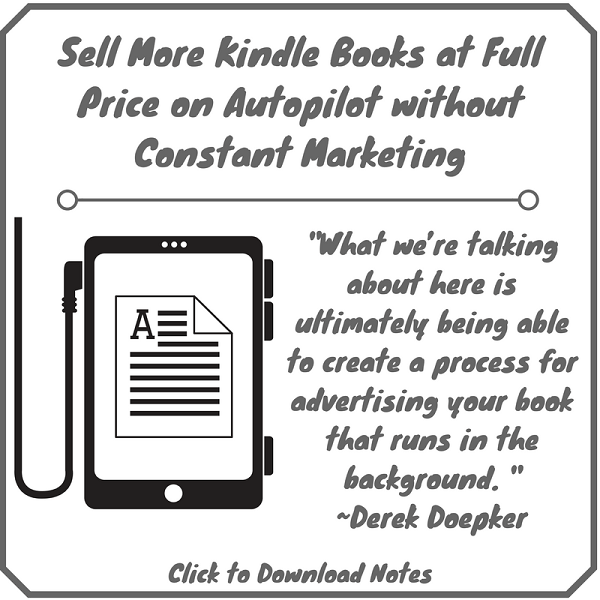 Now, even beginner authors have doubled, tripled, quadrupled their royalty income every single month by putting into practice what we’re going to be talking about. So, in terms of bottom line results, we’re talking not just small increases, but significant increases in royalties, exposure, and of course, all of the other things that does for your brand. One of the best parts is that once you get this set up and going, and in some cases it just takes a few hours to put this system in place, it becomes almost hands free. Like, you let the system do its thing. I go on vacation, I travel, or whatever, and it’s running in the background. So we’re talking about significant increases in sales, without a huge time commitment, and that frees you up to do more things that you love. If you would like to have more of a shortcut and just learn about what I have been able to figure out, including how to do your research a lot faster… Like, in an hour or two, as opposed to days… If you would like to know some of the best ways to optimize your bids, there are some strategies you can use for this too. Also, if you would like to have constant updates on what’s working nowadays, how to adjust, and all of that and more, I put together a training at a special discount. It’s called KD Sales Machine. If you are interested in that, as well as a few other components of what’s involved with that, I have a package offer that comes with a special discount. You can learn more about this by visiting RealFastResults.com/derek.